These Healthy Jalapeño Adobo Turkey Sliders are a variation of my Scrumptious Turkey Sliders and use my Chipotle seasoning. They are on the spicy side but not too hot. (You can always adjust the heat by using less chipotle seasoning, jalapeños and chipotle peppers). Serve with my Slider Bun, a dollop of my Jalapeño Cream and a nice salad on the side, all for 2 points! If you have the turkey sliders and buns in the freezer, you can reheat them in a jiffy for a quick lunch or dinner. Use a scoop and chill – After you mix the ingredients, use a 1/4 c. measuring cup to scoop out the mixture. Place on parchment paper and chill for at least 20 minutes. Spray the grill with oil before placing sliders on the grill. Don’t move them! 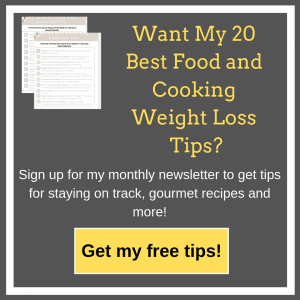 – When you place them on the grill, don’t move them! Allow to cook for 5 minutes, then spray tops with oil and flip and cook 5 minutes more. Use a thermometer – Check for doneness with a thermometer. They should be about 165°. You don’t want them overdone or they will be dry. 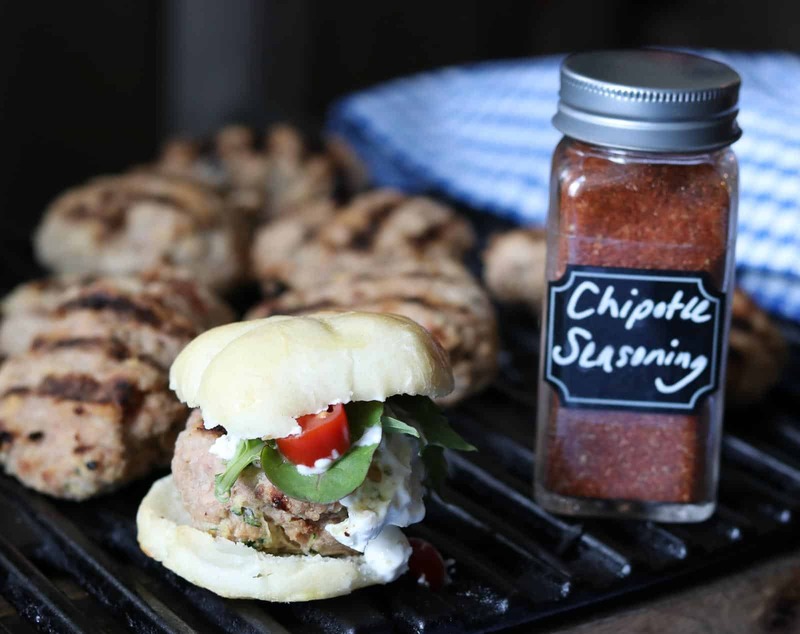 For step by step pictures on how to form the sliders, check out Scrumptious Turkey Sliders. 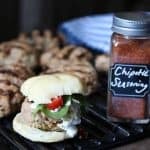 Healthy Jalapeño Adobo Turkey Burgers with Jalapeño Cream are super simple to make and a crowd pleaser. You can make them up ahead of time, grill and freeze for a quick meal later! In a large mixing bowl combine all ingredients, except the flour and Jalapeño cream. Mix well with spoon or hands. To make them uniform in size, use a 1/4 c. dry measuring cup to scoop out the turkey mixture. Tap gently in your hand and transfer the mound to a cookie sheet with parchment paper. Do this for all turkey mounds. You should get about 24 mounds. Allow them to chill for about 20 minutes. This is a very important step, otherwise you will have a big mess on your hands. Literally! After chilling shape gently into patties. Dip them lightly in flour. This helps to form a light crust on the burger. Lightly press an indentation in the middle of each slider. This helps to prevent them from “puffing up,” when grilled. If you want to see a picture, see my other turkey slider recipe. Preheat the grill to medium high heat. Spray the grill (heavily) with oil from your mister so the burgers will not stick. Cook for about 5 min, (don’t move them until 5 minutes is up) then lightly spray the top of each burger with oil before you flip them over. Carefully flip the burger and continue cooking until done (about 5 more min). It’s important to cook the burgers to at least 165 degrees. You want them done, but you don’t want the temperature much more than that or they will be dry. Serve on my Slider Buns with a bit of lettuce, tomato and a few teaspoons of Jalapeño Cream. No need for cheese or mayo. These freeze extremely well raw or grilled. To Freeze Them Raw: Flash freeze first raw on a cookie sheet with parchment paper until solid (about 30 min). Then transfer to freezer seal bags. When ready to use, thaw completely in refrigerator or defrost them slowly in microwave. If they seem too sticky, lightly dust with flour before cooking. To Freeze Them Already Grilled: This is my favorite way to freeze them because they are ready to eat. Flash freeze on a cookie sheet for about 30 minutes, then transfer to freezer seal bags. When ready to use, microwave about 1 minute or until hot. Tips for leftover Chipotle Peppers in Adobo sauce – Plop each pepper out on cookie sheet lined with a piece of parchment. Flash freeze for about 20 minutes, then transfer peppers to ziplock or food saver bag. Use as needed. They add zip to dips, eggs, veggies and more! 2 Replies to "Healthy Jalapeño Adobo Turkey Sliders"
When you say “spray with oil” do you mean a store-bought cooking spray or can I use olive oil in a mister? Would it be the same oil the grill would be sprayed with? Would a cast iron pan work well as a substitute for a grill? Spray with olive oil from a mister. Sorry! Usually I specify. Yes a cast iron would work great or you could do them in a non-stick pan as well but cast iron would be better than pan.